It was a struggle in Swindon for the Invicta Dynamos on Saturday night as they fell 8-0 at the hands of the Wildcats in the NIHL South Division 1. The first period was only 45 seconds old when the Wildcats opened the scoring – Toms Rutkis skating through the Mos defence and dispatching beyond netminder Adam Long for 1-0 assisted by Chris Jones and Luc Johnson. Only 20 seconds later the Mos found themselves defending a powerplay after import Ed Piacka threw a late hit right in front of referee Paul Brooks. It was the Mos though who could have scored during the two minute spell with Joe Allen leading a break on the shorthand but not troubling home netminder Tyler Perre. The Wildcats’ netminder also did well to perform a double save from Louis Colvin and Ondrej Zosiak with the visitors pushing for an equaliser. That was the best it got for the Dynamos however as the Wildcats notched their second goal of the evening on 11:14 through Edgars Bebris shot at the near post on the powerplay after Harrison Lillis had earlier been punished for kneeing. 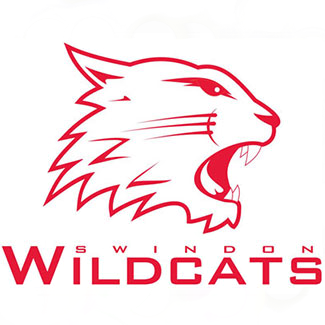 Swindon should have scored not long after the 2nd goal with Sam Bullas leading a 2 man Wildcats attack against Andy Munroe but the Mos defenceman did well to retrieve the puck and clear the danger. A silly mishap in the 17th minute led to the Dynamos getting penalised for too many imports on the ice with Piacka sitting the penalty. To rub salt into the wounds the Wildcats scored on the powerplay in comedy circumstances with Rutkis firing a shot over Long’s goal, the puck then hitting the plexi and falling into the net off the netminders’ back for 3-0. Lessons weren’t learnt in the 2nd period with the Mos again disciplined for too many men on the ice with Joe Allen taking the cold seat in the penalty box, but this time the visitors successfully killed the penalty. Nevertheless, they conceded goal 4 on 30:41 with Edgars Bebris netting his 2nd of the night. A few chances fell to Callum Best and Arran Strawson but after they were not converted and the Wildcats made it 5-0 on 31:55 with Bebris claiming his hat-trick. The Dynamos had their first powerplay in the 34thminute with Samuel Godfrey sitting two minutes for cross checking Piacka but a deflected Lillis shot was the best they could muster. Owen Dell did on the other hand do well to gain the puck from the full strength Wildcats and force a save from Perre in the 38th minute. The Mos ended the period picking the puck out of the net once more with Max Birbraer increasing the scoreline to 6-0 on 39:15.